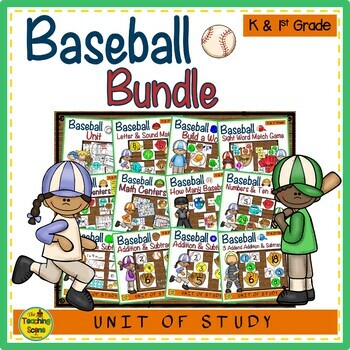 Easy Baseball Bundle With Cross Curricular Centers & Activities for Lower Elementary Children! Resource Prep: Each activity below includes the prep needed to do activity with students in the description. 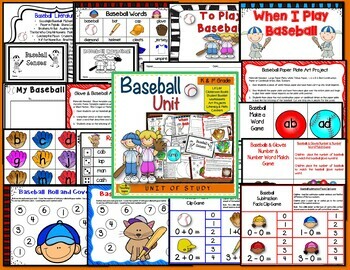 It may include just copying worksheet or printing, laminating and cutting center games. Each direction to games are located on one of the game sheets for student use. 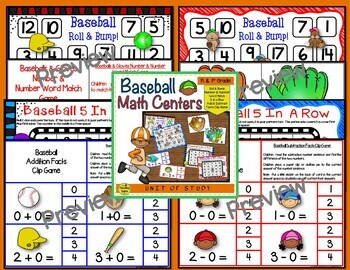 ☆ Baseball Counting: How Many Baseballs? Baseball Counting: How Many Baseballs? 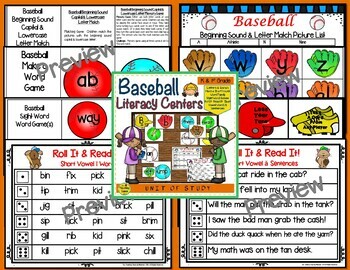 Kids have some baseball themed fun while learning a variety of cross-curricular skills!